An astounding, Courageous pigmented rich color with the ultimate long-lasting wear that you can count on without compromising moisture. 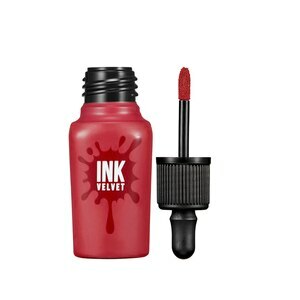 This Ink Velvet will give your lips what it needs with just a single swipe. Making it a long-lasting Lip Color that won't leave your lips feeling heavy or sticky. Apply to lips using the flat brush tip. For external use only. Discontinue use immediately if rash, irritation, or discomfort develops. Do not apply to broken, irritated, or itching skin. Always close the lid after use. Keep out of reach of children. Do not store at temperature too high or too low and in direct sunlight.